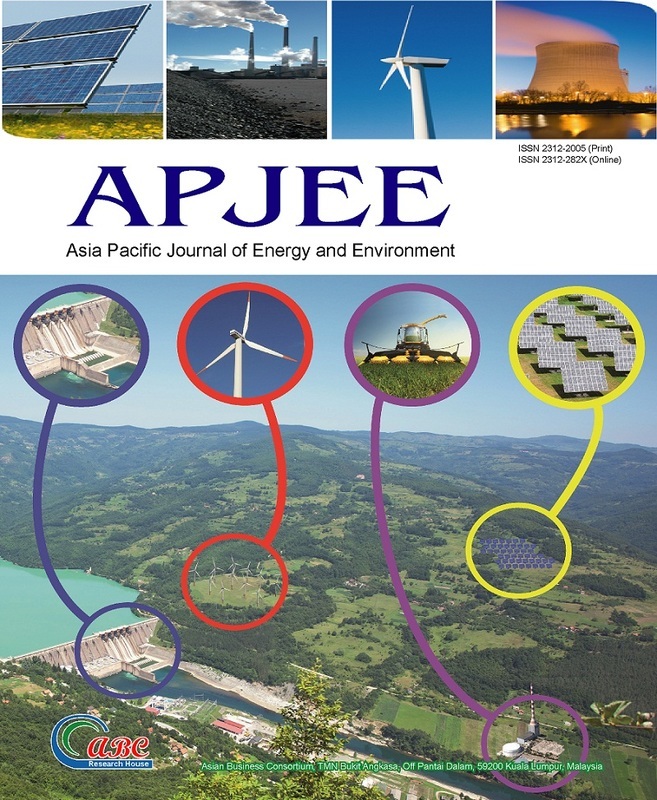 The Asia Pacific Journal of Energy and Environment (APJEE) is an international blind peer-reviewed journal that publishes theoretical, experimental and applied outcome in the science, engineering and policy aspects of sustainable energy and environment. The journal aims to endow with a multidisciplinary and international forum for the broadcasting of the latest high-quality research fallout, particularly those related to or with implications for the Asian Pacific region. Energy -- Renewable energy, solar thermal applications, biomass, wind energy, energy management and conservation in industrial processes and buildings, energy planning and policy, energy standards, energy consumption development, combustion, heat exchangers, cogeneration, rural energy, and other energy related topics. Environment -- Bioenergy processes and utilisation, pollution prevention, wastewater treatment, marine and freshwater thermal pollution, landfill and radioactive wastes, greenhouse gases, environmental impact, organic and inorganic environment associated topics. APJEE is published 3 times per year﻿. Journal publishes original papers in Energy and Environment in general. To be publishable, papers must treat new research, be well written, and be of interest to a significant segment of the science community. Asia Pacific Journal of Energy and Environment is licensed under a Creative Commons Attribution-NonCommercial 4.0 International License.